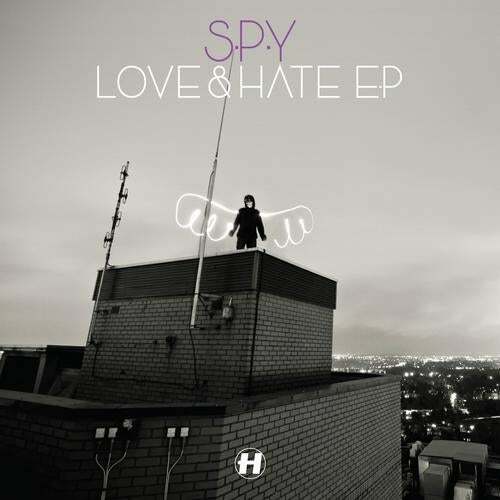 Hard to believe this is S.P.Y's debut full artist release on Hospital, from his first ever release (on Med School in 2005) this release is set to win the hearts and minds of long time D+B fans, and new comers alike with it's return to core values and pure sound. “Love & Hate” is simple back to basics sub-bass science. Moody atmospherics and trademark twisted diva vocals on the intro make way for some of the most ridiculous subs we've heard since the scene in “Jurassic Park” where the T Rex makes the glass of water shake. Next up is the deceptively entitled stepper “Clouds” – where brooding virus synths precede some grinding machine funk. With an offbeat judder reminiscent of the very biggest tech-step anthems this will put a smile from ear to ear on the face of every true junglist. Taking the heritage sound even further, “Sleepy Hollow” sees Carlos strip back his production to an even purer Detroit sound. It's an epic synth work out clocking in at over seven and a half minutes. Made in a more traditional, way this is a true opus, and by the standards of today's attention deficit D+B, quite a marathon. Submotion Orchestra are a group of Leeds music scene luminaries beloved of Gilles Peterson, whose musical adventures dip into funk, dub, D+B and jazz. S.P.Y undertook to remix “All Yours” of his own volition with the resulting sublime remix released for the first time here after it was premiered on Hospital's 1xtra takeover for Bailey back in January.